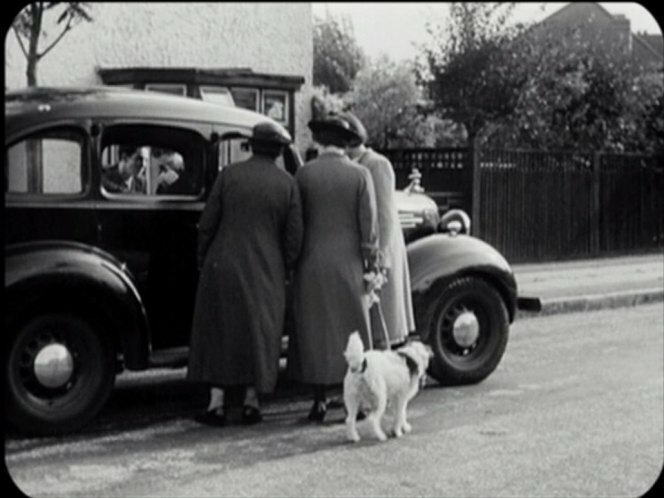 IMCDb.org: 1937 Vauxhall Light Six [DY/DX] in "London - The Modern Babylon, 2012"
Shown while the famous radio recording of Chamberlain announcing that war has broken out plays on the commentary. The implication is that everyone's listening to the car radio. 1937 Vauxhall Light Six, I think.